Alinta Mcguire moved to the Northern Territory with her family when she was 16 years old. 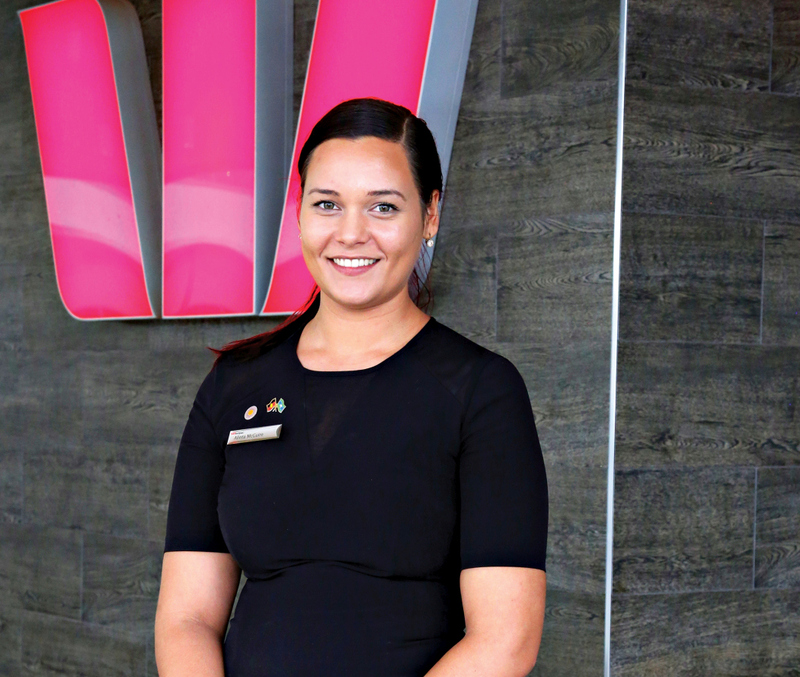 Eight years on, she is the Indigenous Business Manager at Westpac, a job that combines her “two passions in one”: financial education, and helping Indigenous Australians. “If you’re going to do something everyday for 30 to 40 years, I’d like it to contribute to something I really care about,” she says. “Financial education is a passion of mine and financial literacy needs to be shared, and sharing knowledge is important in Australia’s indigenous culture. Originally from NSW, Alinta is a Yuin woman and is always sure to identify herself in this way. She loves living in the Territory, especially as an Aboriginal person. “Being able to identify what your language is and even speak a few words is rare at home. Here, it’s vibrant and alive and that’s really inspiring,” she says. Alinta’s role at Westpac is to execute the bank’s reconciliation action plan on the ground in the NT. Westpac have made a number of wonderful commitments to the indigenous people of Australia, and her job is to make sure these promises are upheld. She visits communities and organisations to personally provide education to indigenous people and staff.